We get asked many questions about how our agency works for graduates. We have fairly some clear-cut processes to placing our graduates on jobs. The amount of incredible work we have provided this year alone includes: Black Mirror, Star Wars, Royal Opera House, Mary Queen Of Scots, By Terry campaign shoots, Dumbo, Maleficent 2, a 5 week body painting job in Mykonos, Book of Mormon, Blinded By The Light, Downton Abbey the movie (very recently announced and in the beginning stages of production), London Fashion week, Britannia, Harry Potter – The Cursed Child… basically all of the best jobs for make-up artists starting their careers, come through the Delamar Agency! The Agency is available to support all students who have studied on our main courses: the 1 Year Cert HE Professional Make-up Design Course, the Advanced Complete Make-up Artistand The Complete Make-up Artist course. Sometimes students who stand out on the 12 or5 week Summer Fashion & Beauty courses, are also offered work through the agency. This work tends to be fashion and beauty focused. The agency truly starts with how students conduct themselves in class. Time keeping, politeness, problem solving and being helpful are employable traits spotted early on. Once your course is over, everyone has a tutorial meeting. In this meeting please tell us which part of the course you enjoyed the most and the sort of jobs that would make you happy. This information is paired with your tutor feedback to provide us with an industry profile of you. If we know you would love to work on a musical, it’s more likely we will place you on a musical. It is really that simple! Be open to share your dreams and we will nurture you to achieve them. Graduates need to keep an eye on their emails and be quick off the mark with communication. This industry is last minute! Several times a week we send emails to many graduates at the same time. These usually are for work experience jobs on student films, but we really do get all sorts of jobs come in. Graduates need to be responsive! Work experience usually includes cover for travel expenses, kit costs and food, so you don’t lose out. It is essential for new graduates who wish to work in the film industry, to get a few student films under their belt. This is where mistakes can be made, and real-life professional scenarios are experienced. We cannot consider you for big feature films if you haven’t challenged yourself on a few student films. We make it very clear to our students, about the importance of unpaid work experience. You are not expected to do this for a set period of time, but the experience is essential. Where specific skills are requested on a work experience job, like prosthetics or wigs, we reach out to a select number of graduates with these skills, at the right point in their careers. Where the job is for anything commercial, or requested by a production company, brand or paid event, we always do our best to negotiate payment. Big feature films and TV dramas provide so many of our graduates with opportunities that can change their lives. It’s a common occurrence at Delamar! Top designers contact Leda all throughout the year, requesting trainees, assistants, juniors and even dailies. We pride ourselves on providing these opportunities. Only a couple of weeks ago, we had a large number of our Advanced Hair graduates work on the upcoming Maleficent film. The process of selecting graduates for these jobs comes down to skillset and character. We have to match each job accordingly, so it helps if Leda has an updated version of your CV. We put together a shortlist and send names with CV’s over to the designer or department head. 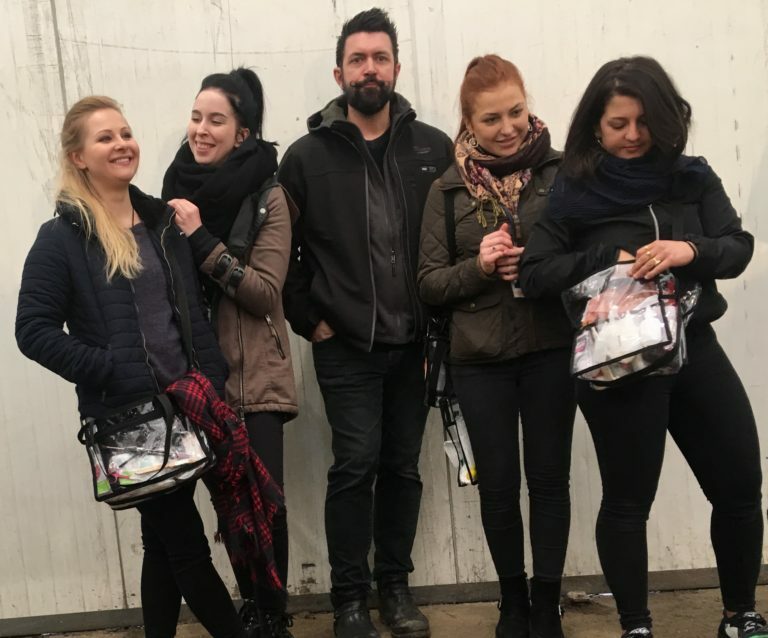 Our tutors are heavily involved with providing work, with our hair tutors: Wendy, Laura and Jo, selecting many students from their Advanced Hair group, to work alongside them on big feature films. Hair is often the most important skillset when starting out in film. Don’t ignore emails offering you work or work experience (many do!). If you can’t do the job but would have liked to, let us know so we keep you in mind for next time. Send us an updated version of your CV, a few times a year. Tell us what you are doing! Keeping in touch is the best way to stay involved. Model for classes! If you haven’t been back for a while, it’s the perfect excuse to join a class and see what’s going on. Tell us if you are having a slow month and need some help. We are so happy to coach you through difficult periods and connect you with potential employers. If Delamar get you a brilliant job, say thank you. We work so hard to do this. Come in for a cup of tea every now and then, even if you graduated a long time ago, we LOVE catching up. Many jobs we receive can require several years experience. To look at our courses to start your career in make-up,you can find out everything here.